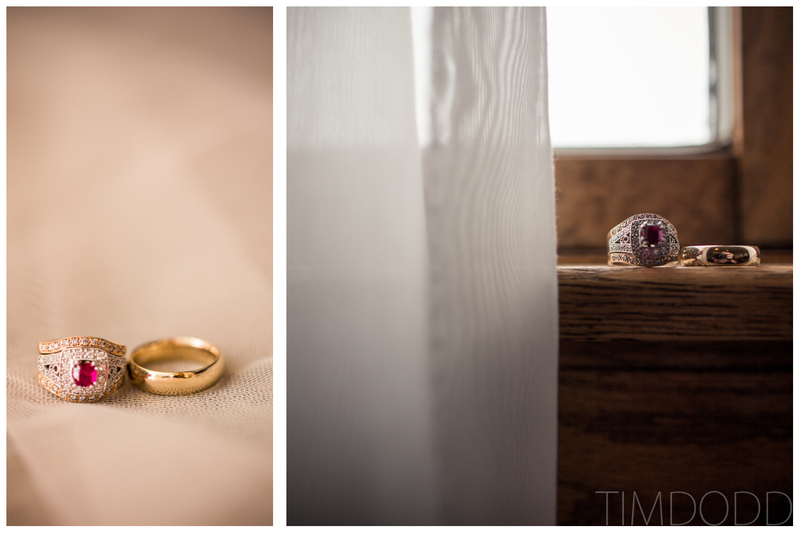 I always get excited when I get an inquiry for a wedding. 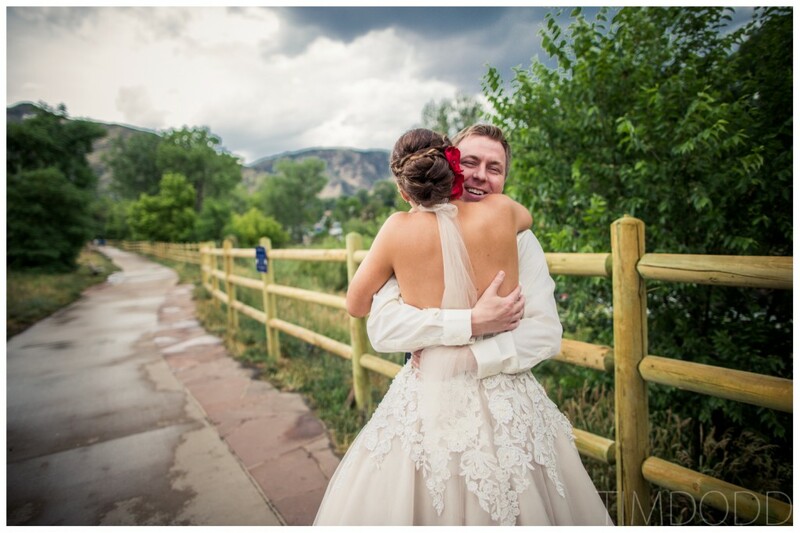 I get even more excited when that inquiry is for a wedding in Colorado! 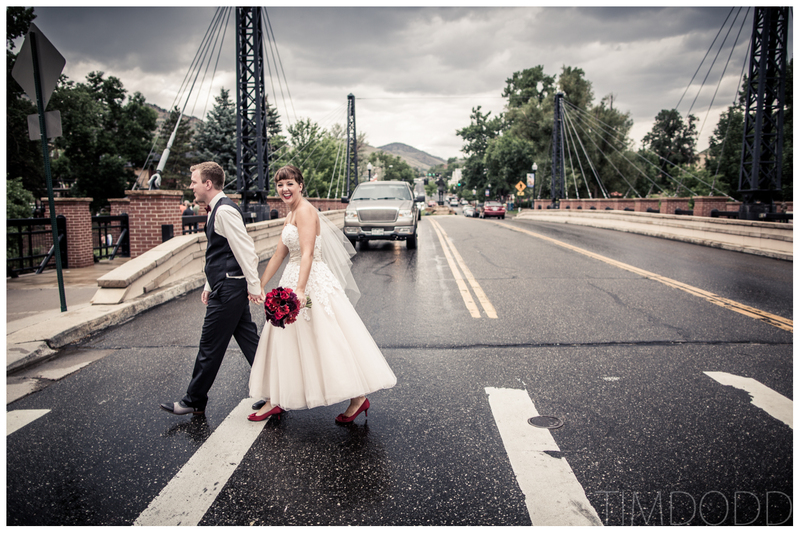 I lived out in Colorado for three months in 2005, so it’s a very special place in my heart. 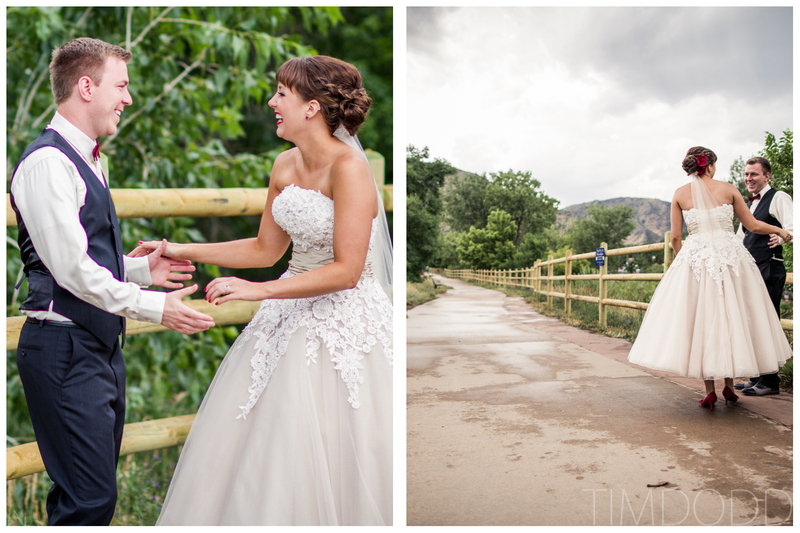 I jump at any and every chance I get to return to one of the most beautiful places on earth. 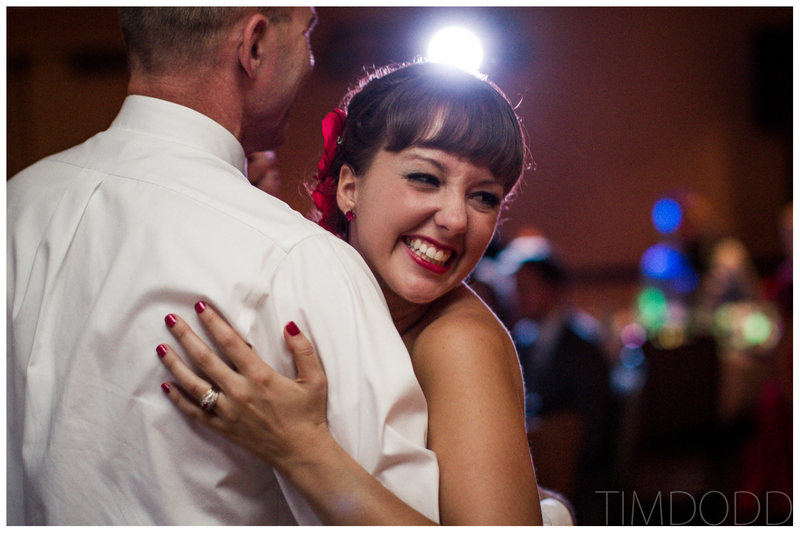 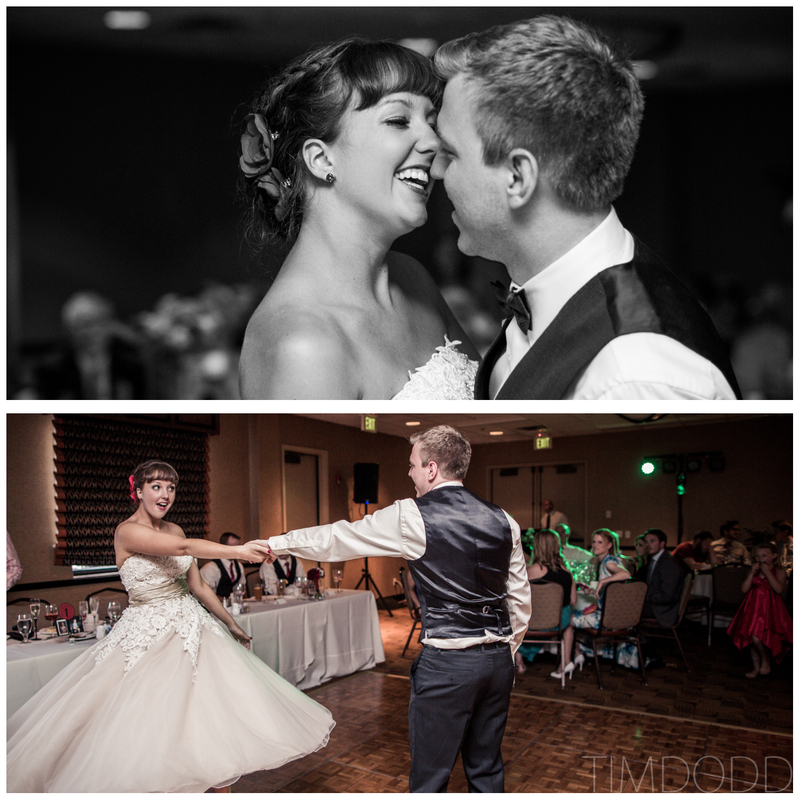 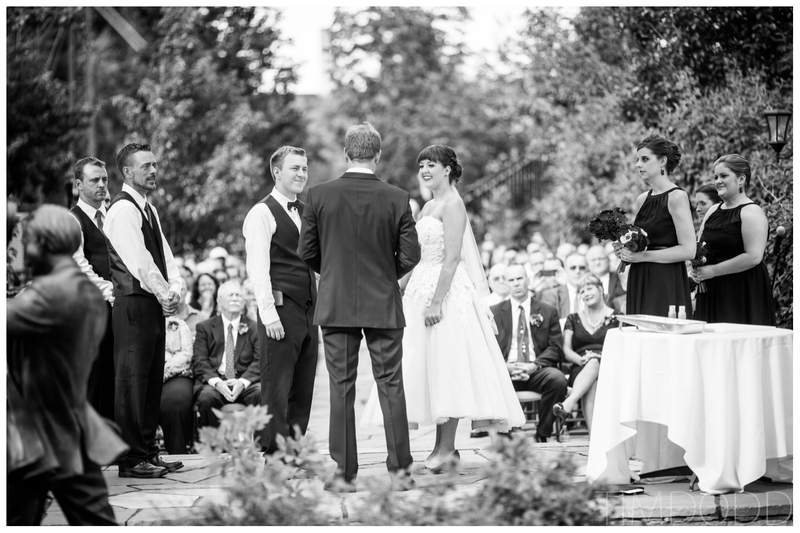 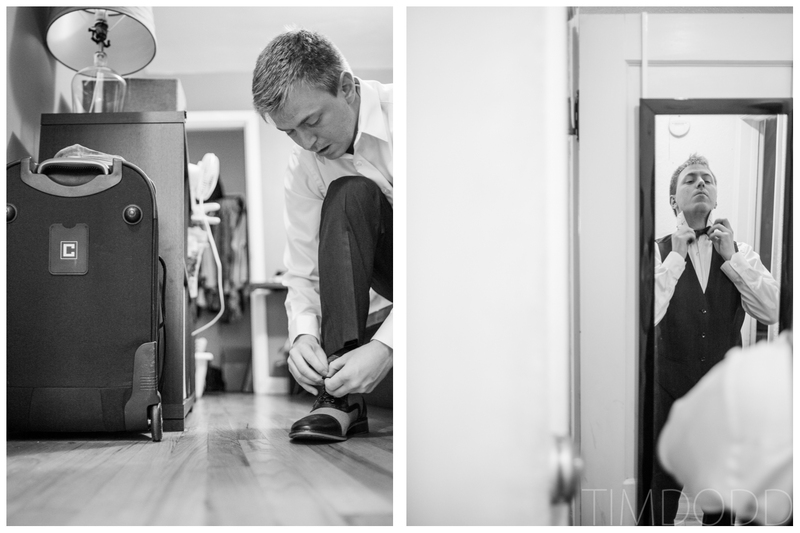 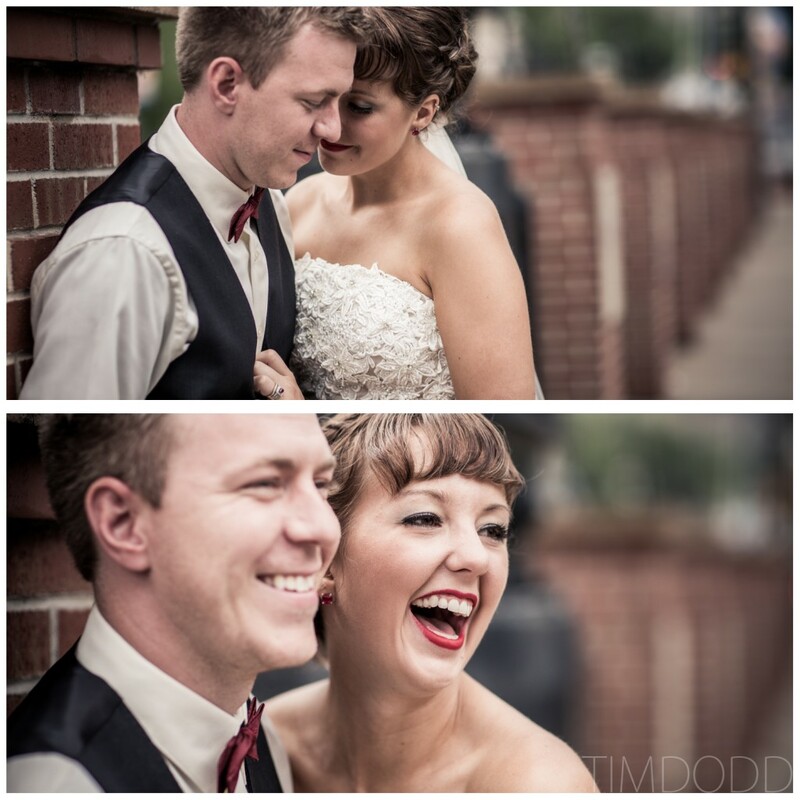 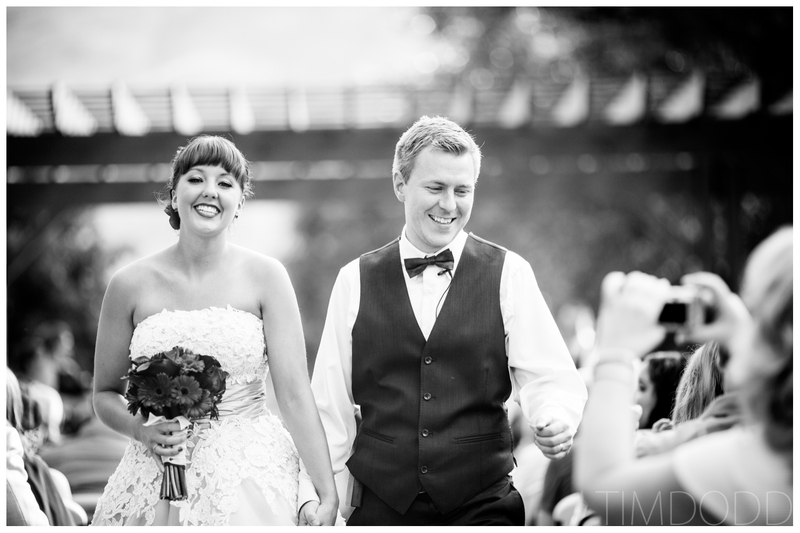 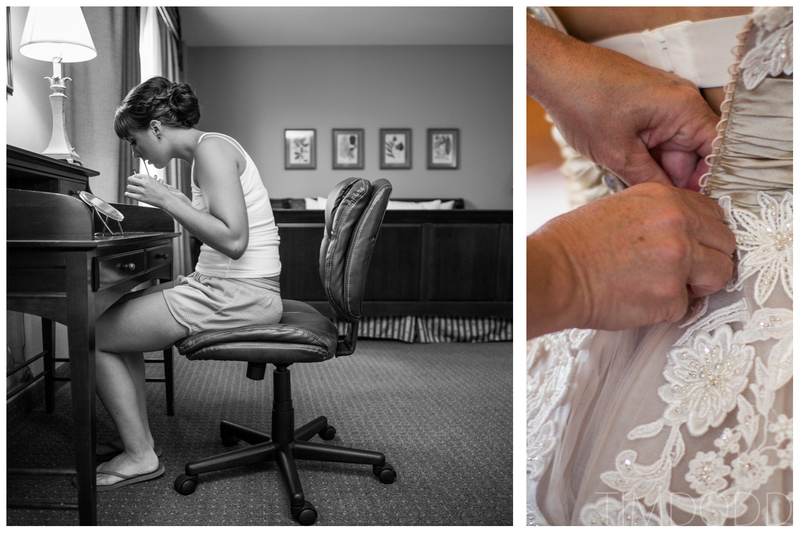 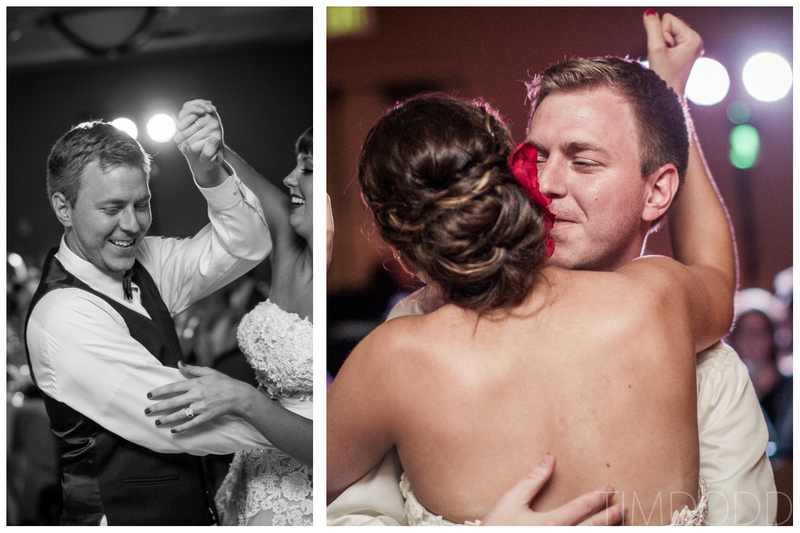 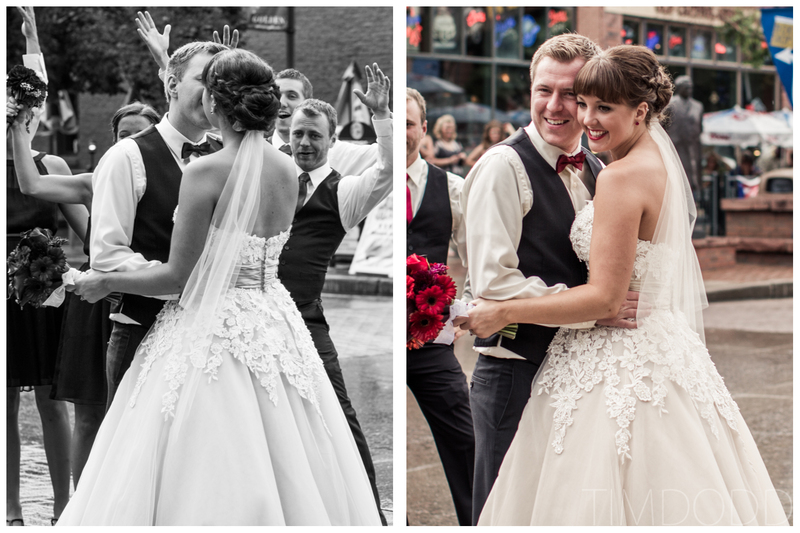 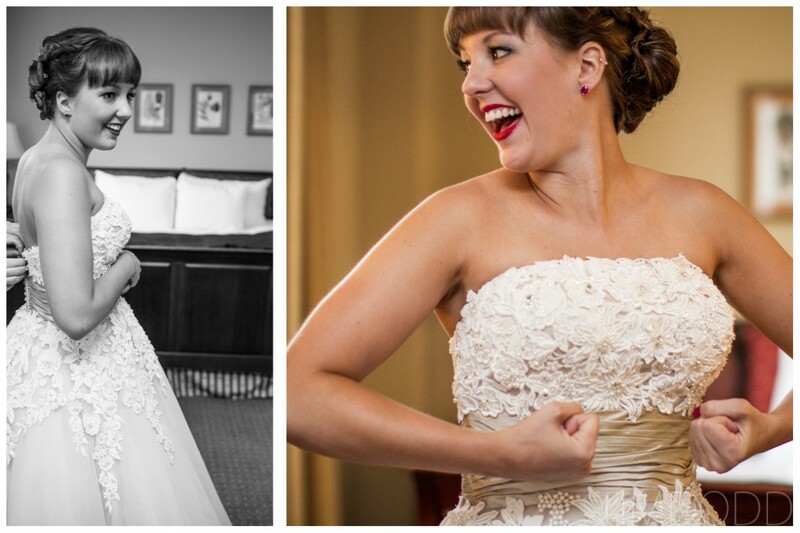 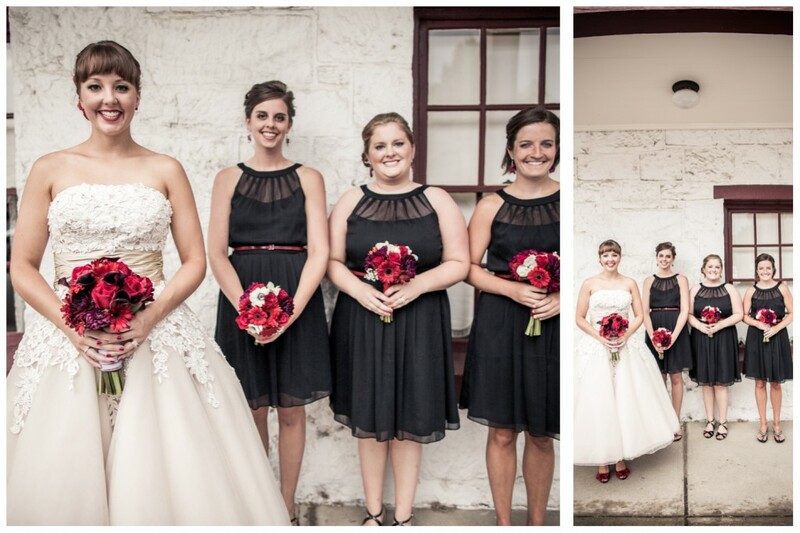 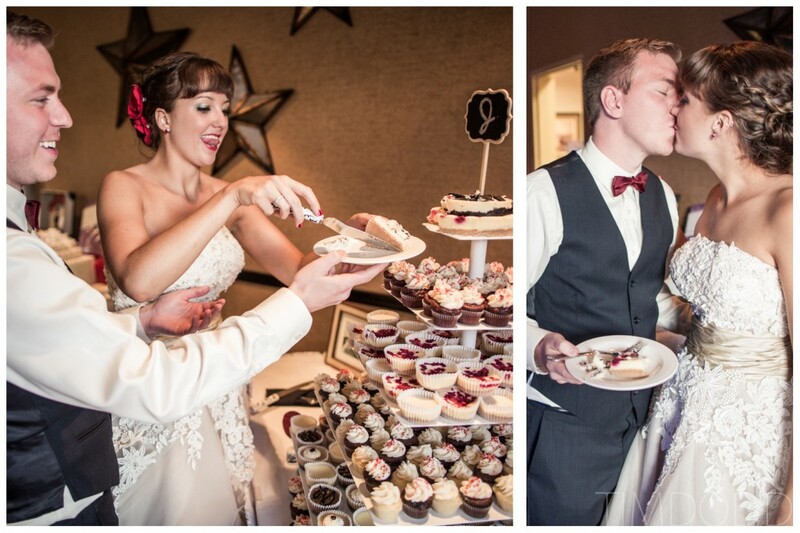 When my friends Dane and Amy began to describe their wedding day, I knew it’d be special. 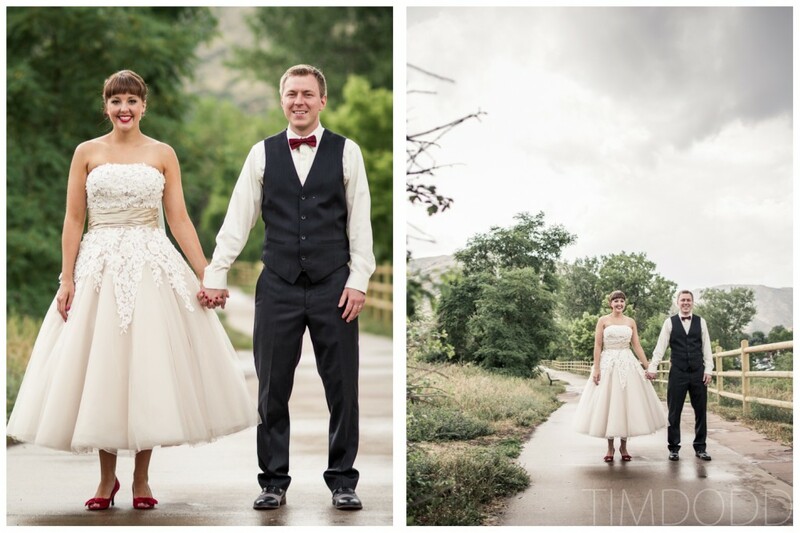 I could tell they had a vision, and although both were Iowa natives, they knew their wedding had to be out in their new home state of Colorado. 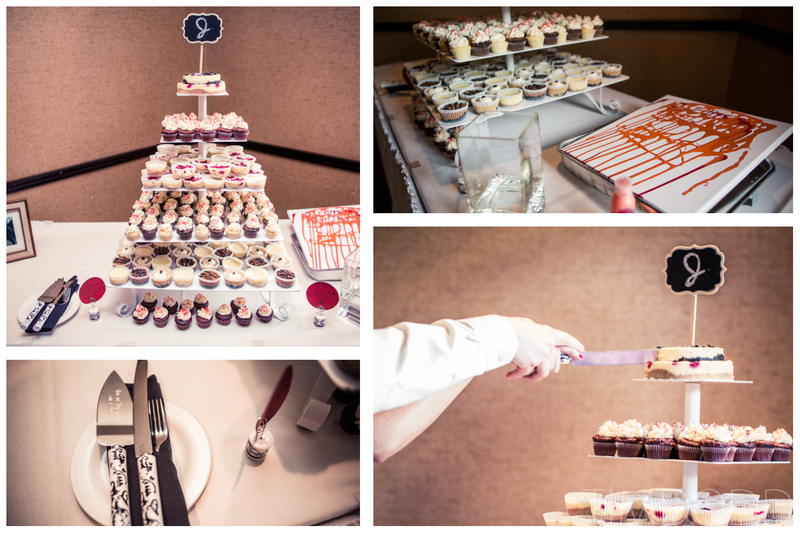 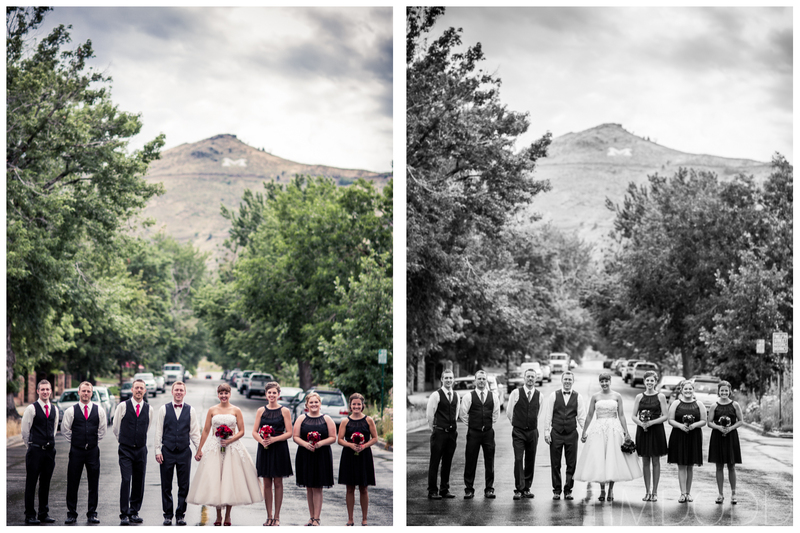 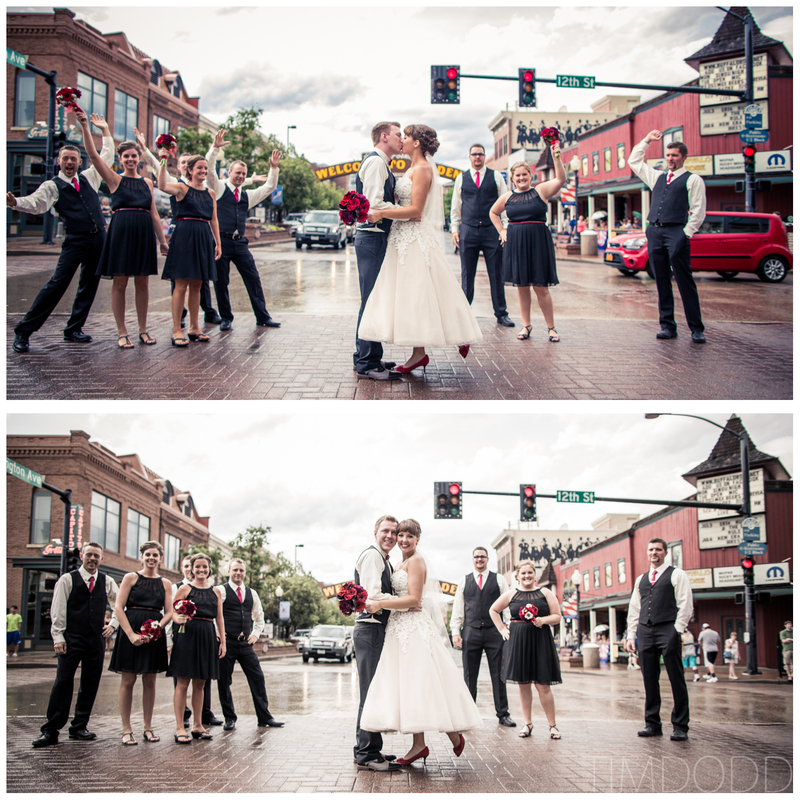 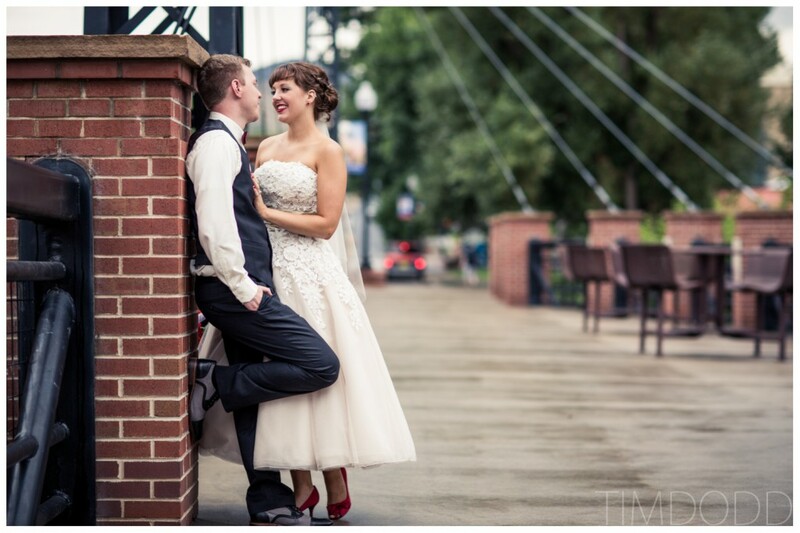 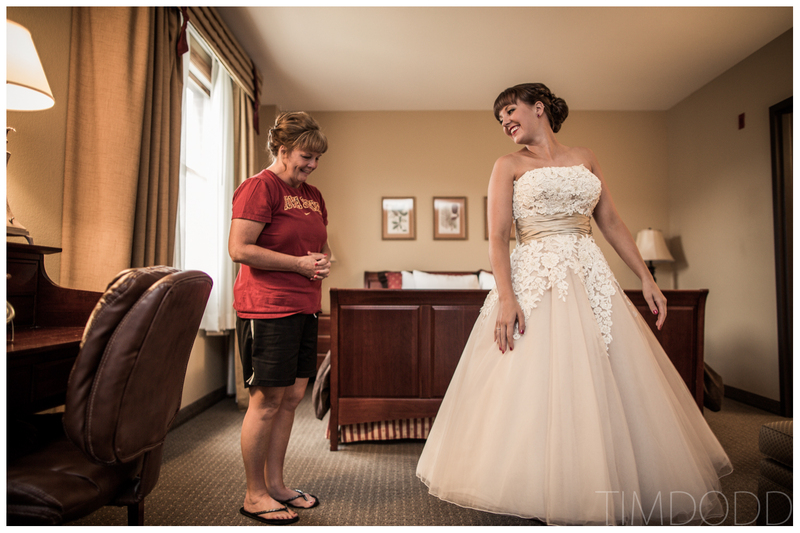 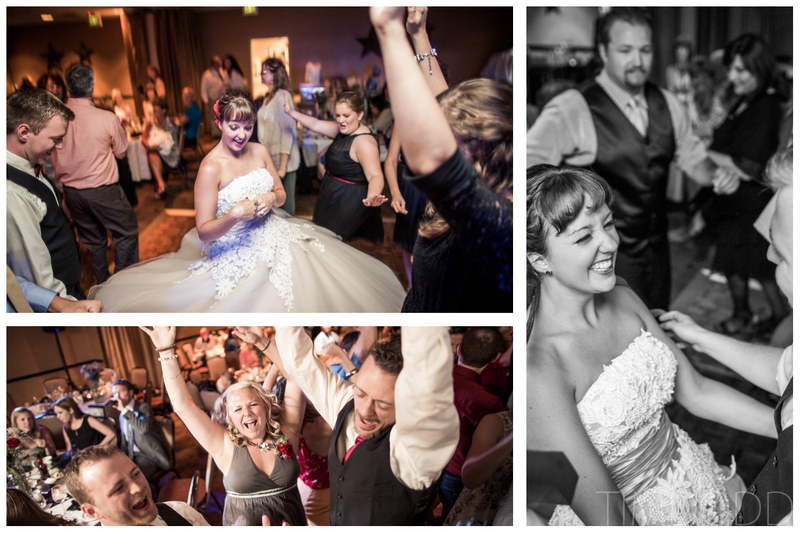 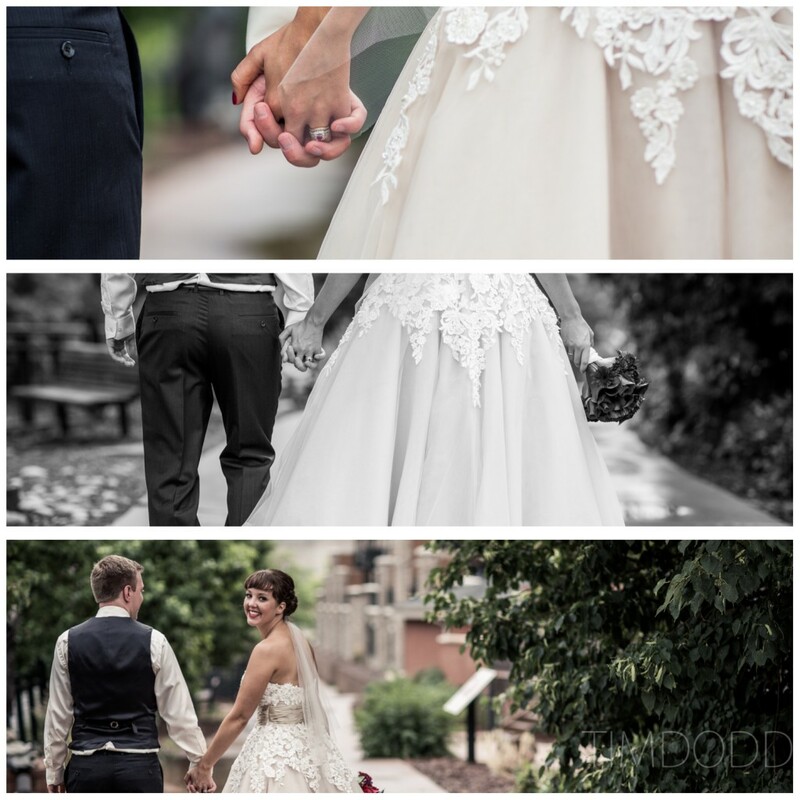 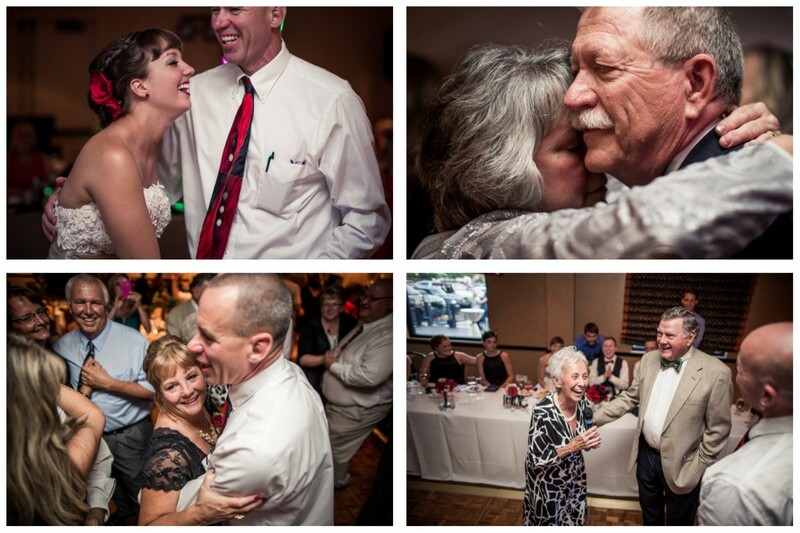 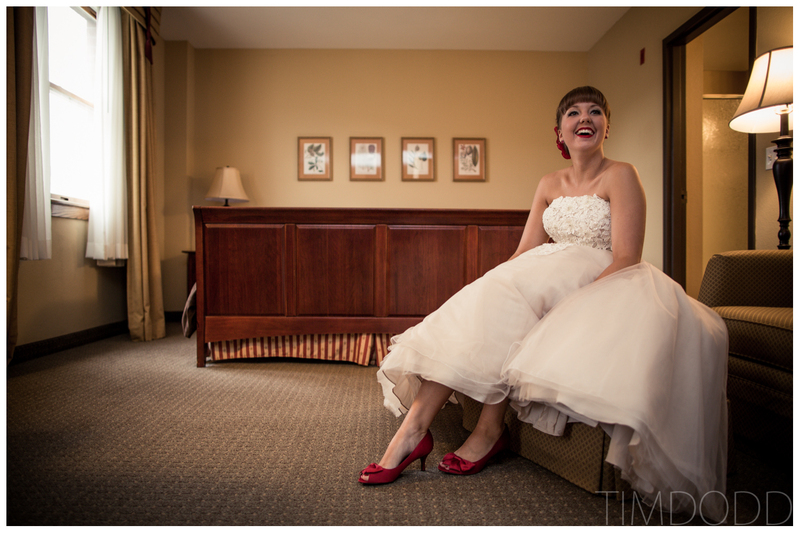 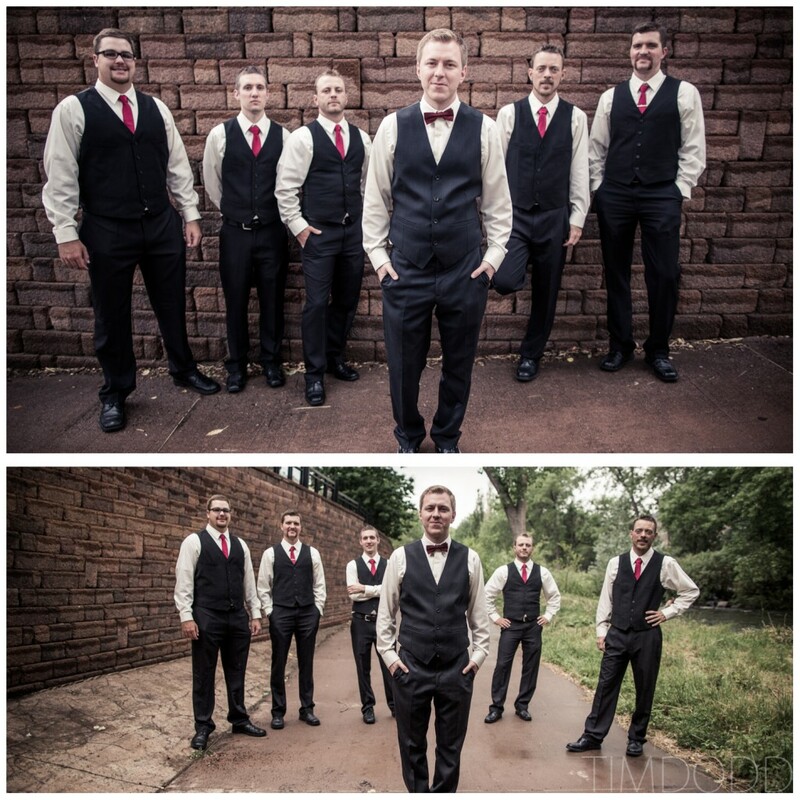 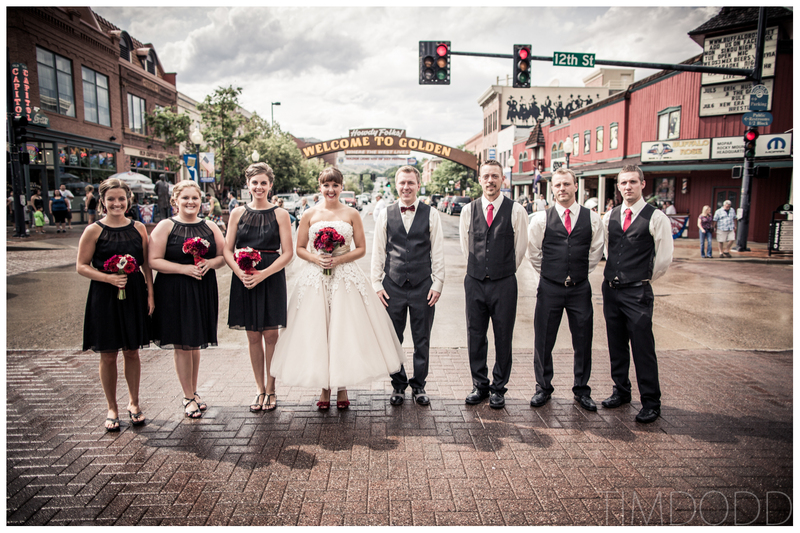 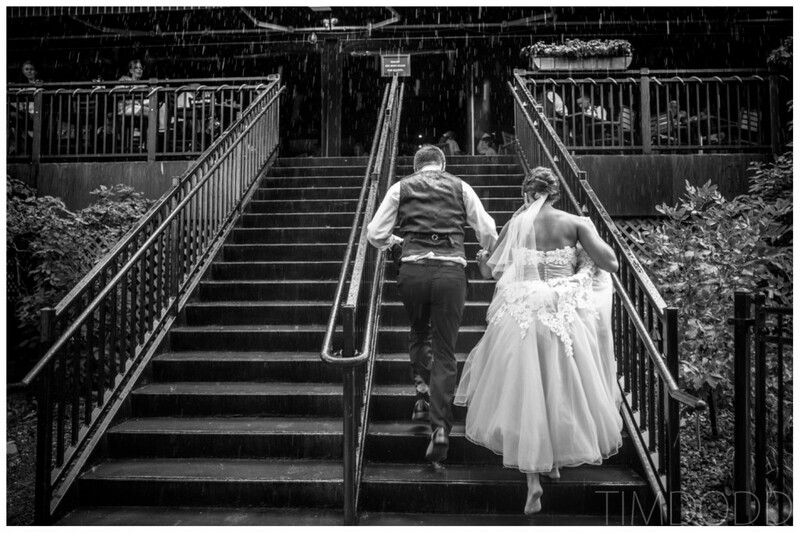 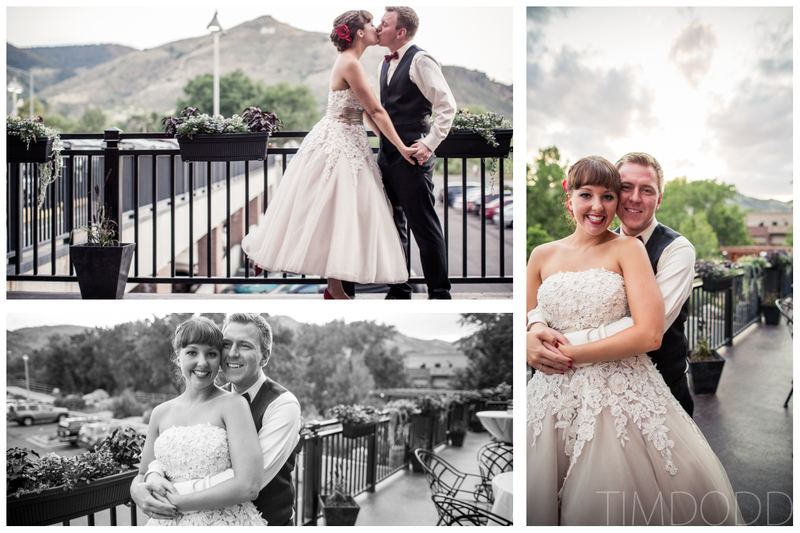 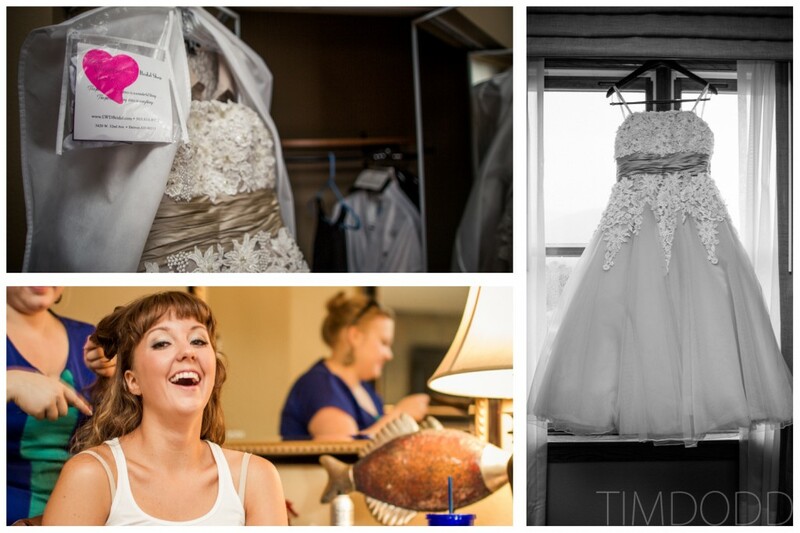 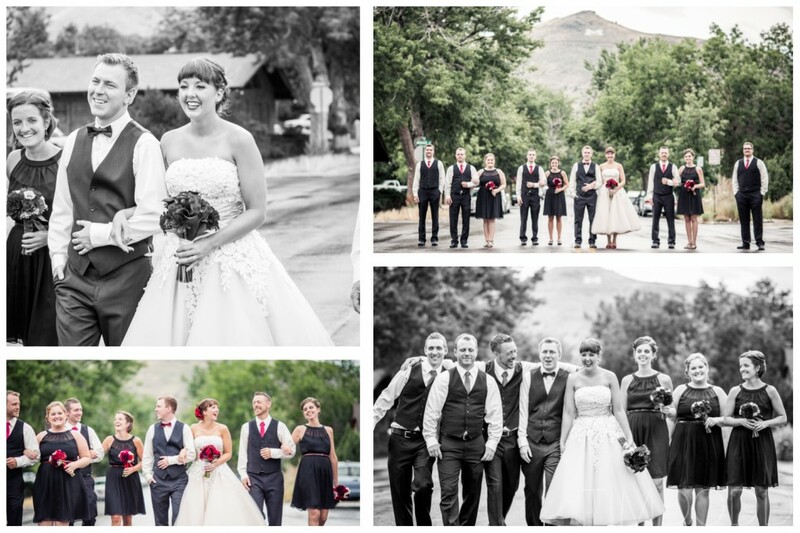 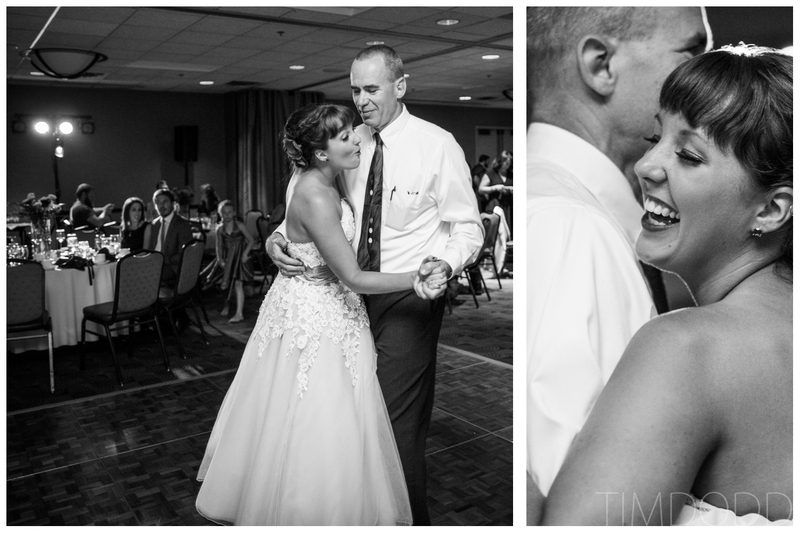 They chose the perfect venue, The Golden Hotel in Golden, Colorado. 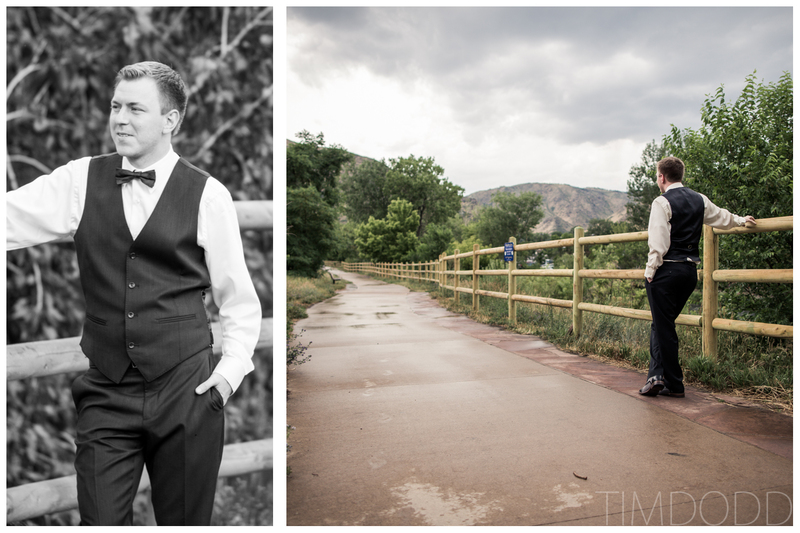 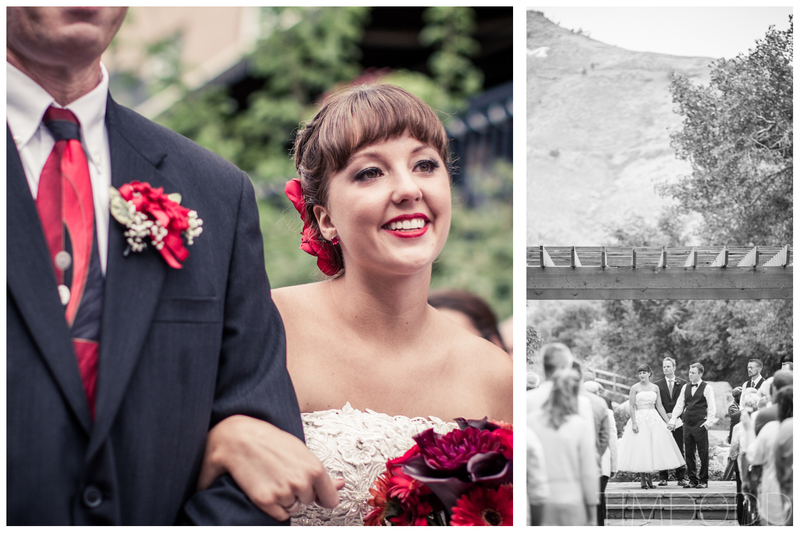 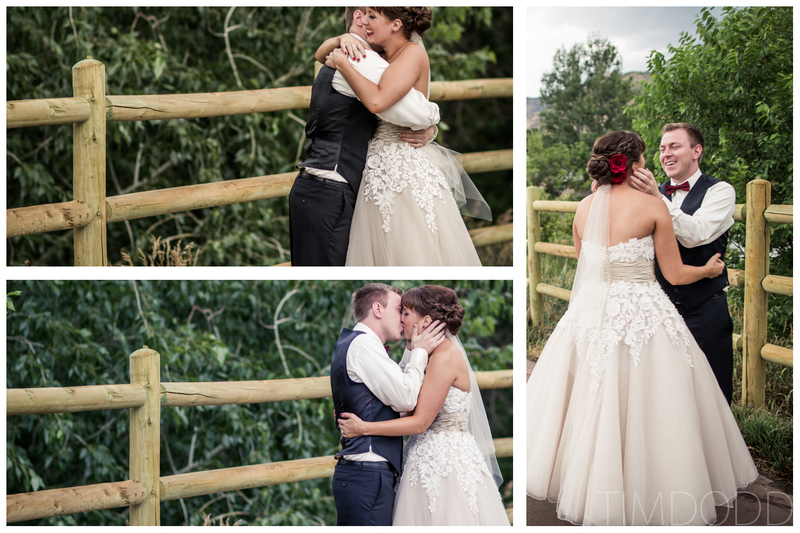 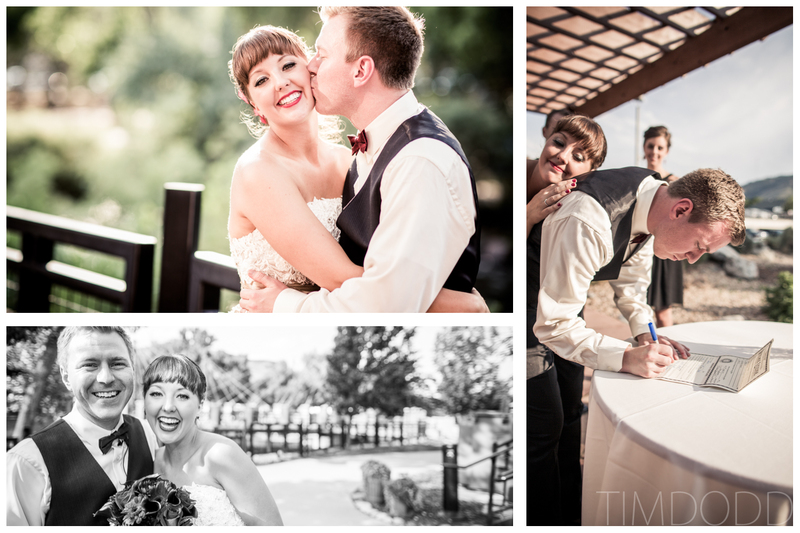 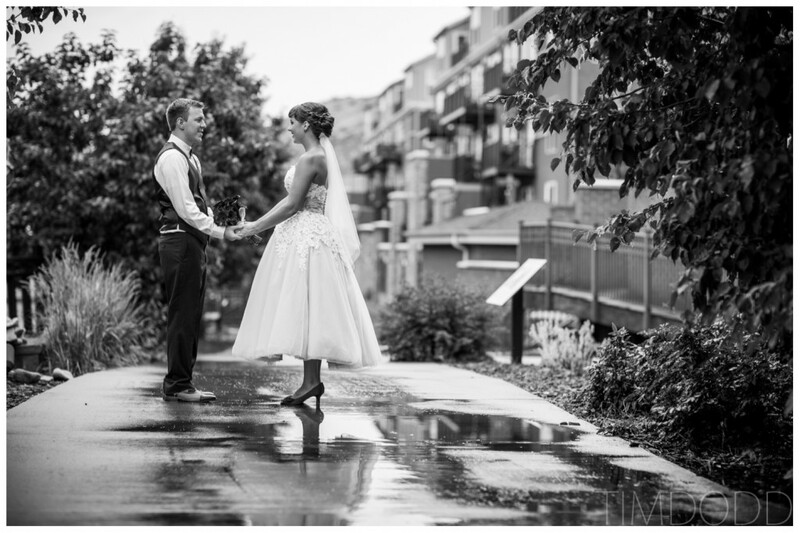 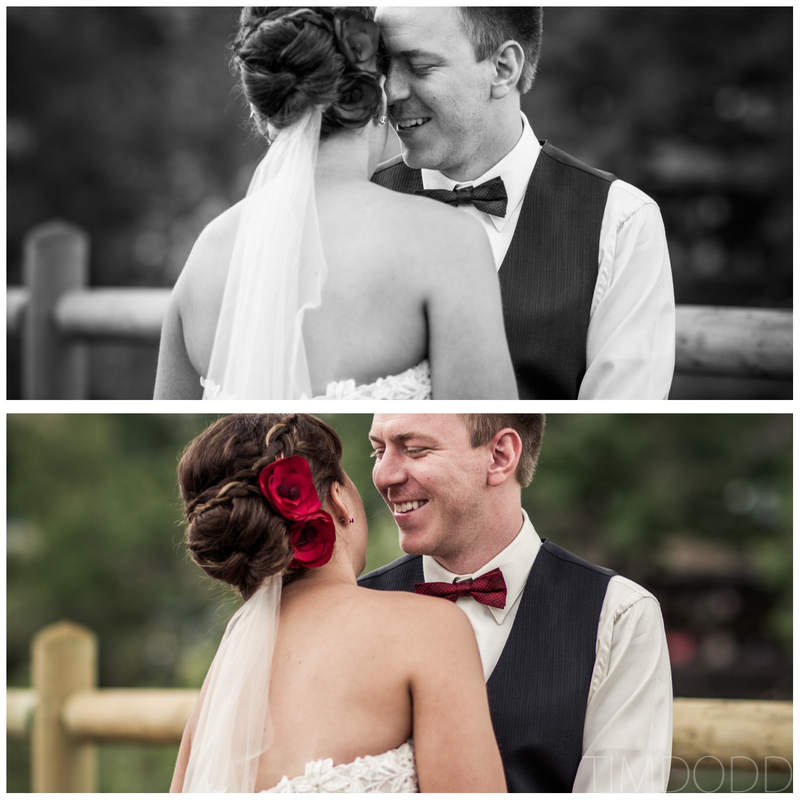 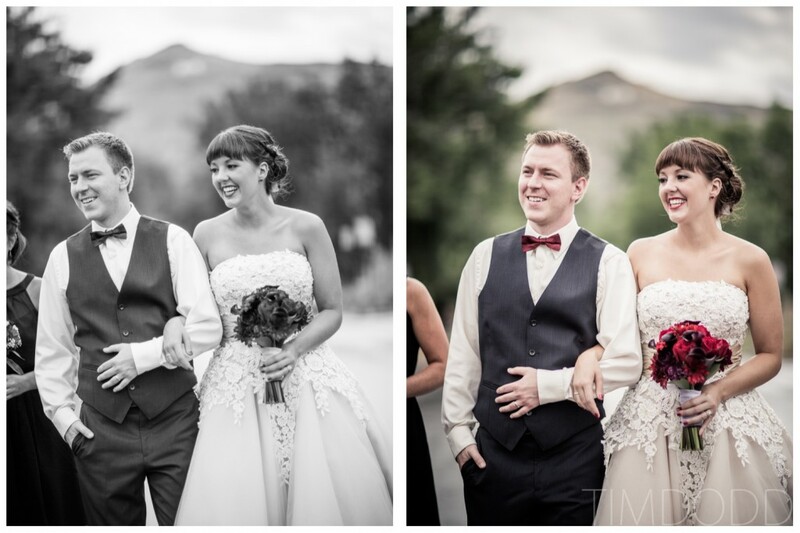 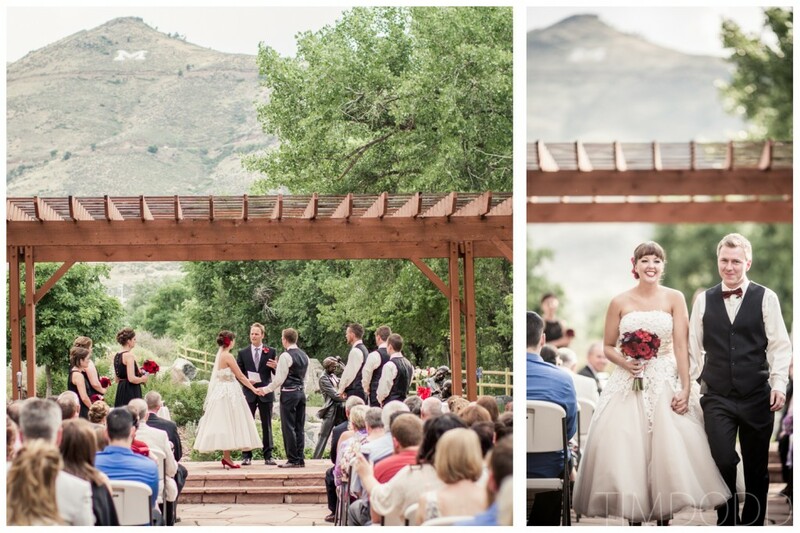 The venue offered a great outdoor space that had the picture perfect backdrop of the Rocky Mountains. 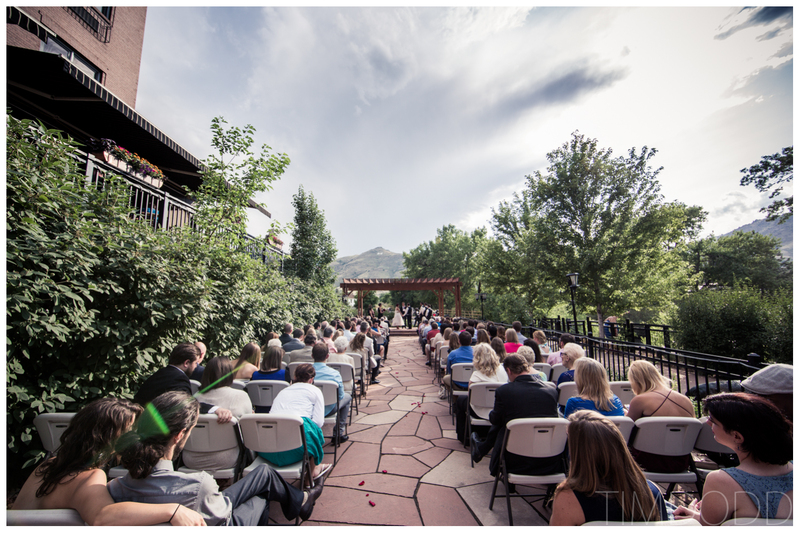 Not to mention, guests could easily enjoy walking along the beautiful walkway that follows Clear Creek, right through the center of town. 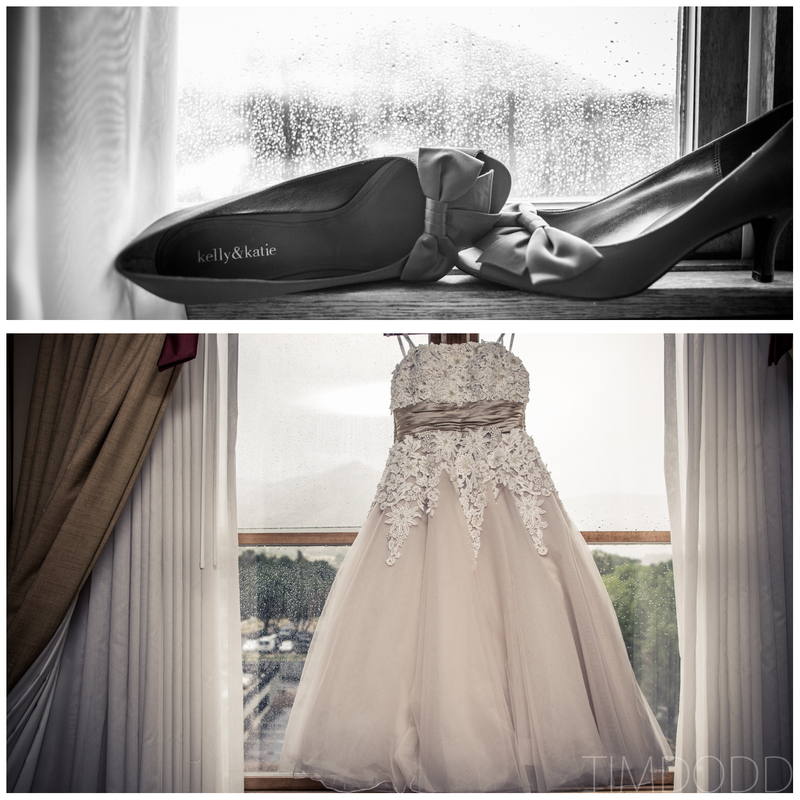 The morning of their wedding, the mountains looked awfully hazy and the weather report was warning us of imminent rain. 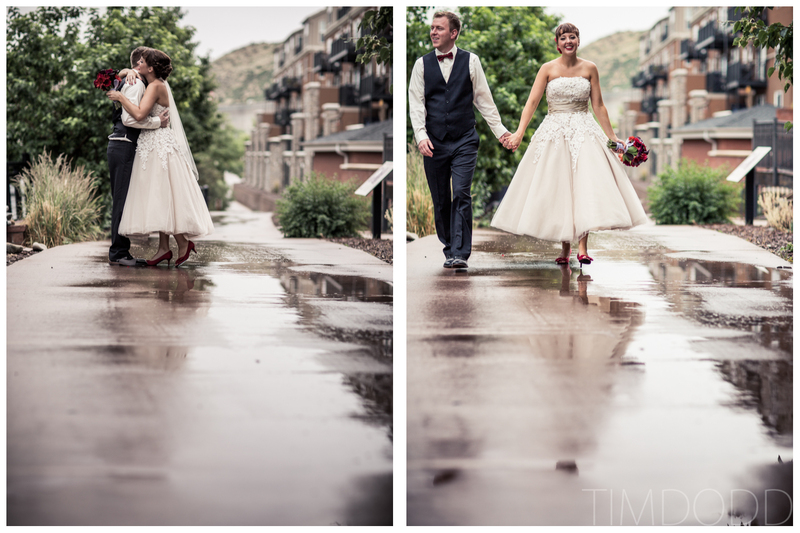 No big deal though, it rains all the time in Colorado, but usually for 10-15 minutes max. 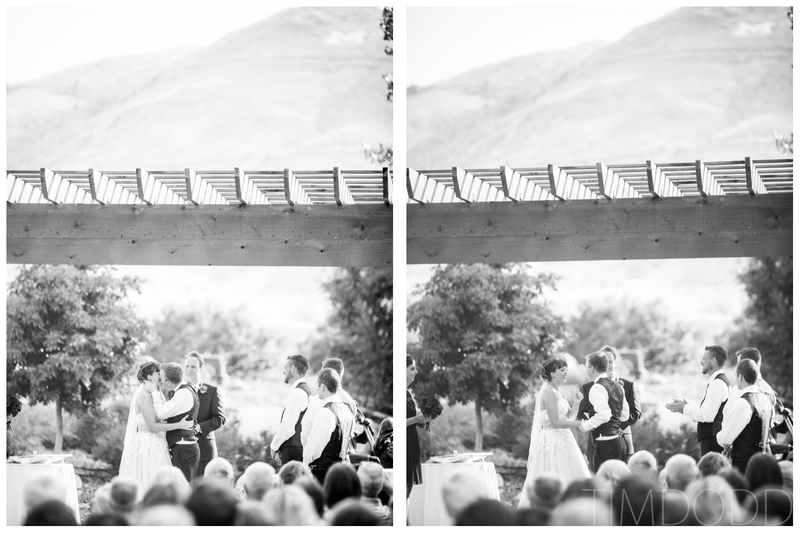 So this would be just like that, right? 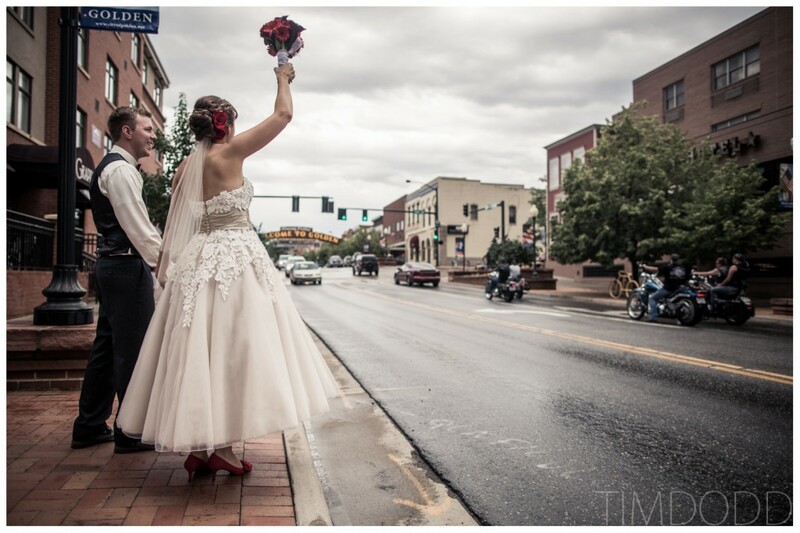 This picture reminds me of a Norman Rockwell painting. 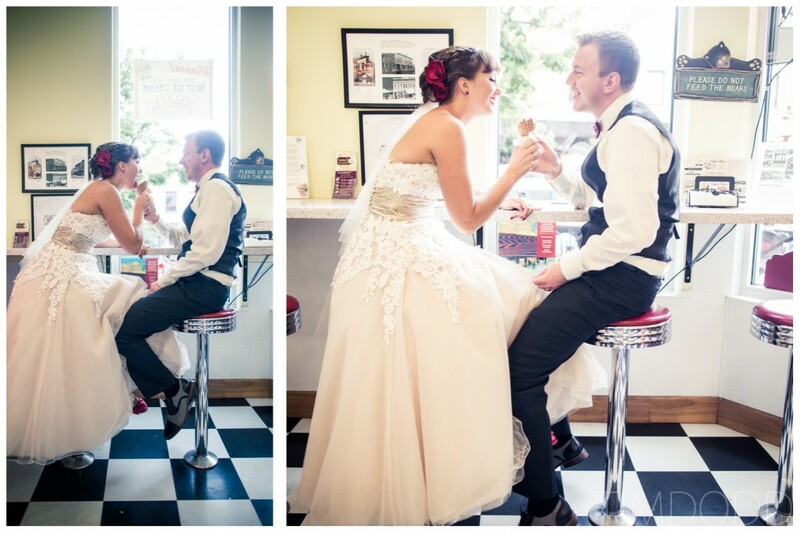 As soon as we took shelter in an old ice cream shop, I was hoping we could do something that was reminiscent of his work. 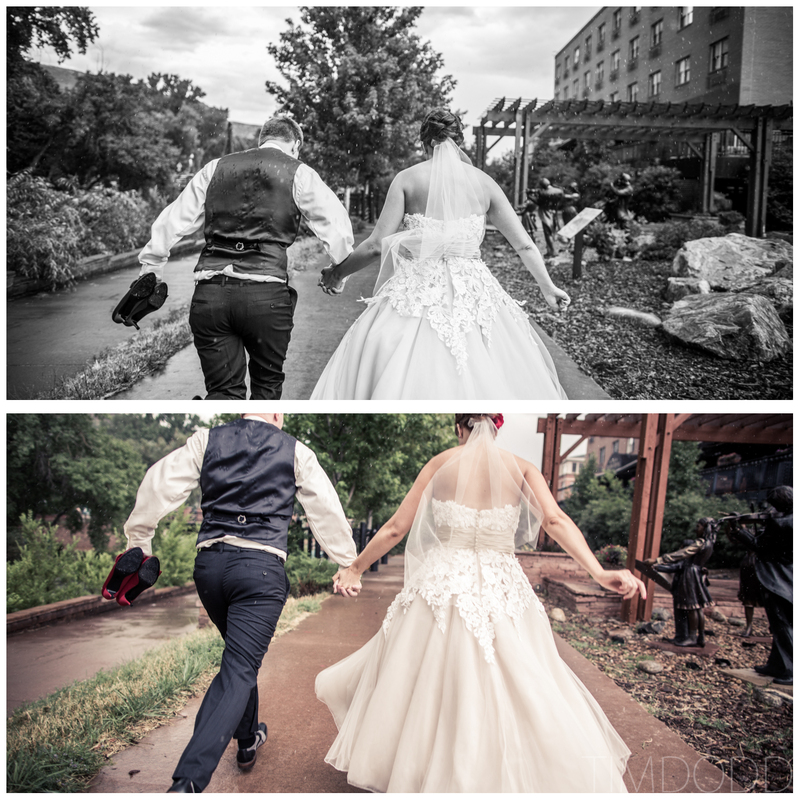 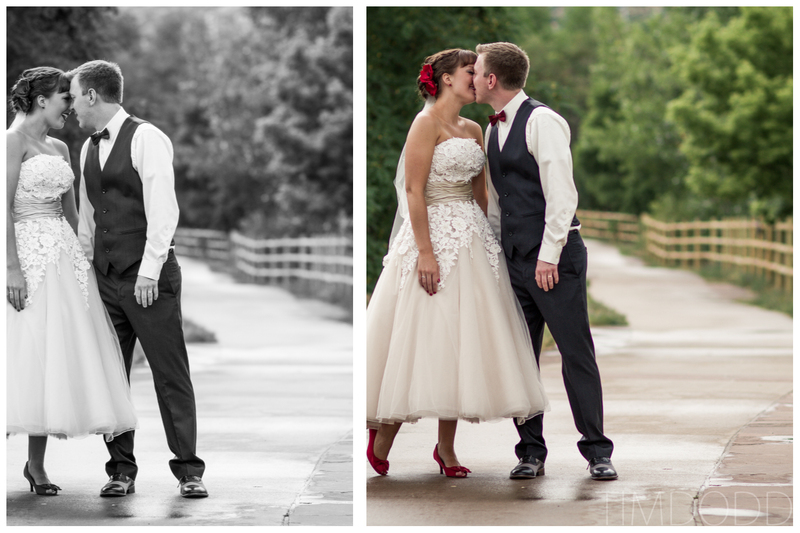 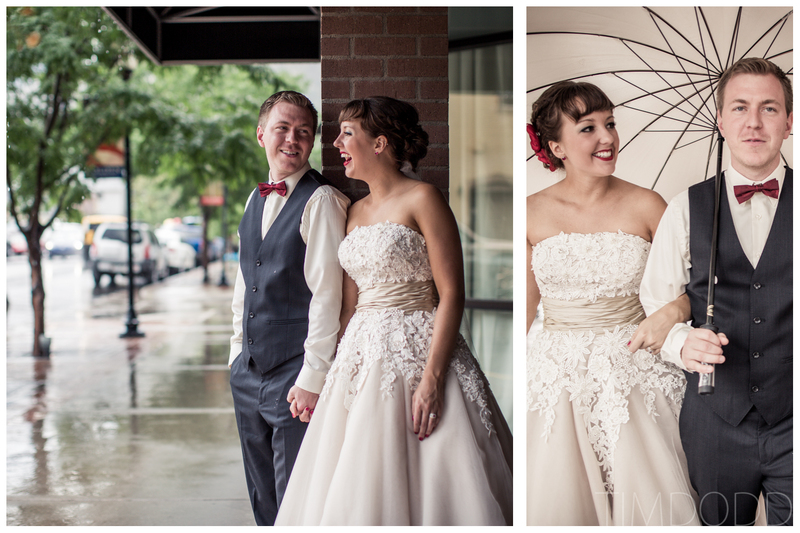 Even though the rain kept us on our feet, running in and out of shelter, we still managed to get some great shots! Best of all, it finally looked to be clearing off about half hour before the ceremony. 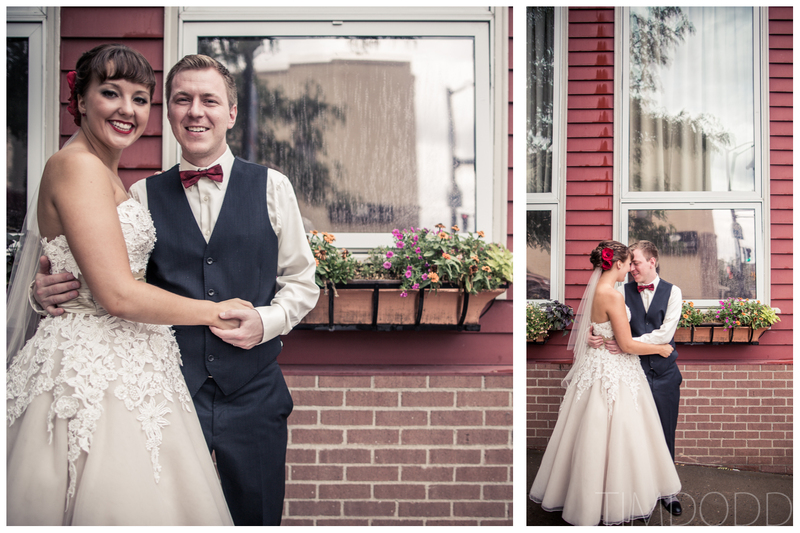 Right on schedule, the sun came out as soon as their ceremony started.